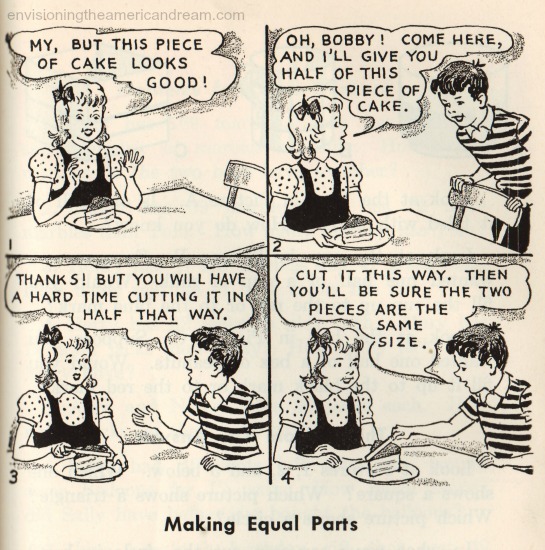 On Equal Pay Day we again learn about uneven division. Today is our annual reminder that women’s pay is not in fact equal to men’s. It’s that annual point in the year when the average woman’s pay catches up to what the average man made in 2018. In other words, it took 3 extra months for women to make as much as men did last year. There is something very wrong with this math. While learning how to count in elementary school …we also learned who counted. The real problem was the discrepancies between the sexes just didn’t add up. 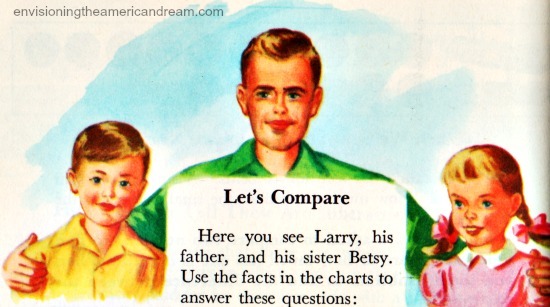 While Bobby earned $1 for a days work, poor Betsy earned only 77 cents. 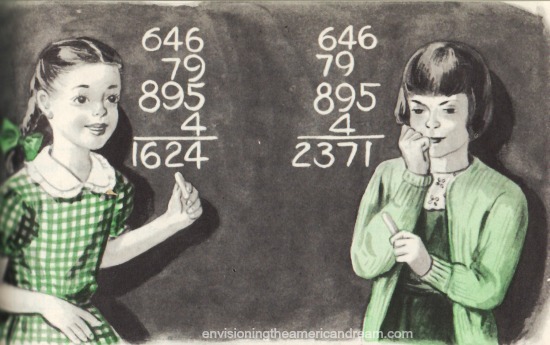 The idea of a gender based wage gap today seems as antiquated as these vintage arithmetic school book illustrations. 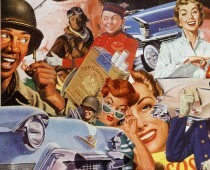 Hard to imagine women today still get paid less for the same job men. On average women today still earn just 77 cents for every dollar that men earn- a mere 17 cents on the dollar increase since the Equal Pay Act was enacted over 50 years ago in 1963. The figures are more dismal for women of color. An African-American woman is paid 64 cents and Latinas only 54 cents as compared to white men. Despite the figures, the GOP continue to downplay and debate the idea of an income inequality. The simple truth is, these images are surely dated, but no more so than the fact that a gender wage gap still exists in 2019. Thanks for speaking out on an important issue! Masterful re-purposing of a mid-century artifact that speaks to generations of women.And, hopefully, a few men in power who need to get up to speed on pay equity. No one does this better than Sally Edelstein. Haven’t visited your blog in a while now, I remember why I like it! 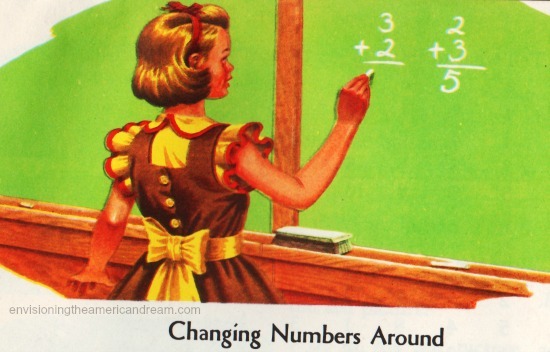 This is a very truthful accounting of the school room back when I grew up. You have put the spotlight on how certain issues have made little progress.